Olde Reminisce Farms has always been an amalgamation of multiple properties and partner farms playing host to The USA Herd of Kunekune Pigs. 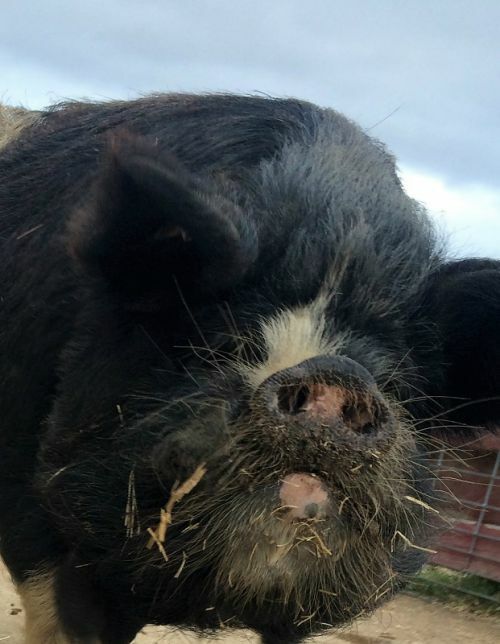 Olde Reminisce Farms keeps cattle, sheep, poultry, and Kunekune Pigs. The main herd of pigs currently resides at Amy's Farm in Ontario, California (San Bernardino County). Amy's Farm is in transition from an educational farm focusing mainly on "beyond organic" vegetable gardens to one that includes a REGENERATIVE model to include livestock suitable to smallholdings providing hands-on experience and instruction to future farmers from beyond the borders of the United States. We support Amy's Farm and their thoughtful foresight in utilizing reclaimed water to create healthful pasture plots for the grazing of cows, pigs, goats, sheep, ducks, turkeys, and chickens on a small scale. Heritage breeds are becoming the model for the urban farm, smallholdings, and rare breed farms to which Amy's Farm will provide students a path to learning. The Historic USA Herd is a large part of that educational path. Lori Enright, owner/farmer of The Historic USA Herd, founder of the American Kunekune Pig Registry, and creator of the International Kunekune Pig Preservation Project offers short courses and day course for students wishing to learn about the Kunekune Pig breed and all of the aspects of pork production, seed stock, and marketing. The USA Herd is the home to Supreme Champions having ten out of eleven either imported by or produced in their breeding program. The eleventh Supreme Champion was produced out of a USA sire and USA dam. The first ever National Supreme Champion was also a product of The USA Herd - Kunekune Pigs of Preeminence. Being the first ever to harvest Kunekune pigs for pork anywhere in North America, Lori Enright is passionate about the breed for a niche market which includes uses in charcuterie and country hams. Much opposition was fend off in order to promote the ideal of "preservation through utilization" which lead to the creation of the International Kunekune Pig Preservation Project. The Project seeks to collect hard data on the breed for use in research and development to the benefit of the Kunekune Pig worldwide. With assistance from the Canadian Centre for Swine Improvement and others, the Project has gained notoriety from prestigious swine universities and private entities interested in furthering a niche market for lard type pigs. *TGRE Cornelius was 2 time Supreme Champion in 2012 under Judge Lori Enright and in 2014? under Judge Shelly Farris. Cornelius (deceased) was out of USA Thor and USA Athena.